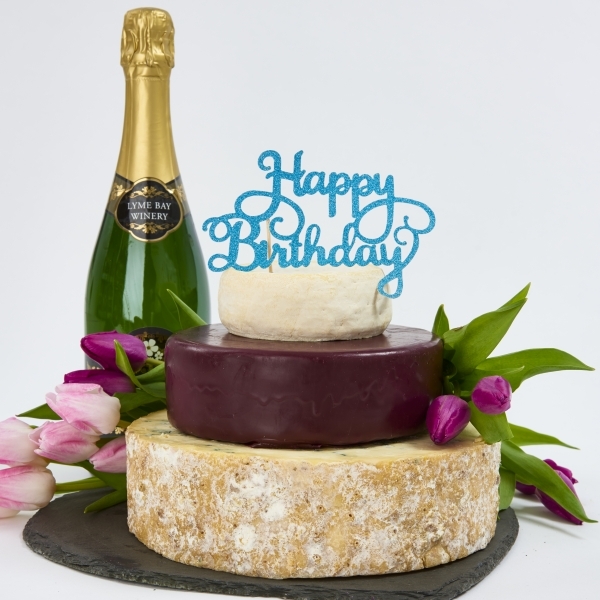 Say 'Happy Birthday' to a cheese-lover in a more unique way. The Ashbourne Cake has been carefully designed to ensure everyone will love something about it - whether it be the famous taste of Hartington Stilton or the creaminess of the Godminster Organic Cheddar. This 3 tiered cake will serve approximately 55 people. If you would prefer to taste before you buy you can purchase a sample box of all the cheeses that go to make up The Ashbourne Celebration Cheese Cake.